In September of 1990, my then-40-year-old husband Tim was diagnosed with a cancerous brain tumor the size of an orange. His doctors “gave him” 18 months to 3 years to live. Tim and I were struck by paralyzing fear. We followed doctors’ orders to a tee. Tim underwent the standard-of-care treatment: surgery, chemo and radiation. Nothing more. For a few years he did well. But soon he began to experience every side effect and complication he could possibly endure as a result of the treatments. Most upsetting were the radiation-caused stroke and hydrocephalus (water on the brain). These complications necessitated many trips to the hospital and several surgeries. I finally realized that if I was going to have my husband around for more than the predicted maximum three years, I would have to start finding treatments that might help him. It was obvious that the standard of care alone would not keep him alive and healthy. So I went online and started talking on the phone. I found a nutritional consultant who I believe performed miracles, as well as some other cutting-edge treatments. Tim lived for 15 years post-diagnosis, twelve years more than his doctors had “given” him. But we had to use treatments beyond the standard of care to achieve our success. What does our experience have to do with John McCain? Senator McCain’s brain tumor is a glioblastoma (GBM), one grade higher than my husband’s. According to the American Brain Tumor Association, the median life expectancy for GBM patients who use the standard of care alone—chemo and radiation—is 14.6 months. A very poor prognosis. These same treatments, with slight changes, have been the standard of care for over thirty years. Most GBM patients I know personally who have used the standard-of-care treatments alone have not lived even that long after their diagnoses. Most have survived closer to six months. But there are quite a few long-term survivors of glioblastomas. Some have lived more than twenty years. But in every case but one that I personally know of, these long-term survivors used other treatments: some in addition to the standard of care; others without it. Glioblastoma patients must start right away—on Day #1, if possible—to research other options. Because GBMs move so quickly, and return so ferociously, there simply is not time to wait. This is why I am on a mission to educate Sen. McCain and his family, as well as other GBM patients, about other treatments that might extend their lives. Dr. Jeanne Wallace’s group, www.nutritional-solutions.net, has several GBM clients who are alive many years post-diagnosis. One of her clients, Cheryl Clark, will be observing her 20-year anniversary this coming October. In Cheryl’s case, she did undergo radiation, but opted to shun chemotherapy. But she, and all of Jeanne’s clients, eat a diet low in sugar (cancer cells love sugar! ), and they are all educated about the use of many high-quality nutritional supplements, designed to discourage the growth of tumor cells. The supplements Jeanne and her group teach their clients about address the tumor in several other ways, including slowing inflammation, boosting the immune system, and encouraging tumor cells to die (apoptosis). The leader in this area of cancer treatment is Ben Williams, PhD. Diagnosed with a glioblastoma in 1995, Ben was told about his options: chemo and radiation. He was also told about his chances of survival—back then, even less than 14.6 months. He deduced that he would be a “dead man” if he didn’t do his own research and come up with a better treatment plan. He pored through the medical literature and discovered that many drugs—used primarily for conditions other than cancer—had been shown in early trials to have cancer-fighting properties. Some were over-the-counter: melatonin, curcumin, etc. Others required a prescription: celebrex (arthritis), Chloroquine (malaria), Depakote (seizures), Provigil (excessive sleepiness), Statin drugs (high cholesterol), metformin (diabetes), cimetidine (excess acid), mebendazole (worm infections), and itracondazole (anti-fungal). The indications for which the above drugs have been approved are in parentheses. Ben put together his own “cocktail approach” plan and is alive and well 22 years later. He spends much of his time counseling other GBM patients who reach out to him for help. I wrote about the Ketogenic Diet—the high-fat, low-carb, adequate-protein diet—in HONEST MEDICINE, for the treatment of pediatric epilepsy. It has also been studied for cancer, including glioblastomas. Dr. Thomas Seyfried first published a case study in 2010 of a man with a GBM who used the Ketogenic Diet successfully. He then wrote a book, Cancer as a Metabolic Disease. Others who have written about this diet as a treatment for cancer include Travis Christofferson (Tripping Over the Truth), Dr. Nasha Winters (The Metabolic Approach to Cancer), Patricia Daly (The Ketogenic Kitchen), Ellen Davis (Fight Cancer with a Ketogenic Diet), and Miriam Kalamian (Keto for Cancer). In addition, Adrienne C. Scheck, PhD is studying the Ketogenic Diet for cancer at Barrow Neurological Institute in Arizona. 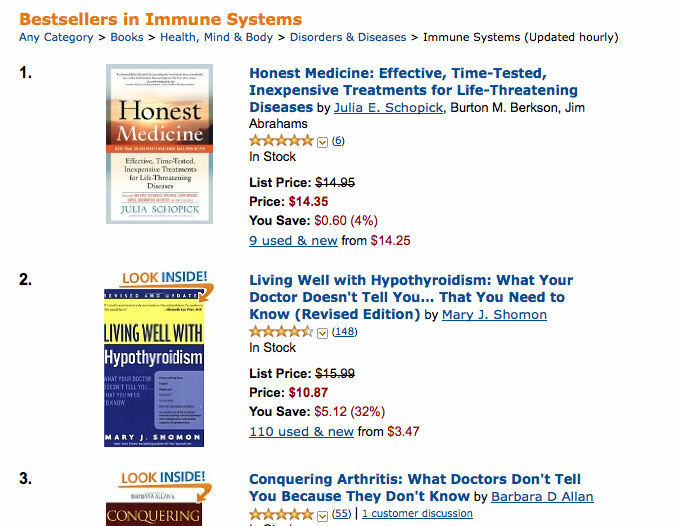 In addition to the Ketogenic Diet, I also wrote about Low Dose Naltrexone (LDN) in HONEST MEDICINE. In my book, I concentrated on LDN’s use for autoimmune diseases, especially multiple sclerosis. I am now writing a second book, totally about LDN, with a co-author Don Schwartz. This book will share patient stories of LDN successes with several other autoimmune diseases. But from the beginning, Dr. Bernard Bihari, the man who literally “invented” LDN, reported that it has endorphin boosting, immune system enhancing characteristics. He reported that several of his patients with cancer experienced excellent results with LDN. Recently, there has been renewed interest in using LDN for cancer. A documentary, “LDN and Cancer: The Game Changer,” features the work of several physician/researchers in the UK who have had excellent results using LDN in combination with other treatments, including chemotherapies and some natural substances, for the treatment of cancer. In conclusion, I would never advise John McCain and his family, or any other GBM patient, as to which of these treatments—or which combination of treatments—they should use. I hope they will learn about all of them, and decide on their own which one or ones they would like to try. I would also encourage them to do their own research, or to hire a researcher with experience in finding sensible, science-based, cutting-edge treatments. I am very worried that they will not know about these treatments, and others like them, and will just use the standard of care. That would be a shame. It might also be a death sentence. Here is a radio interview I did on this topic with Ric Bratton ("This Week in America"). 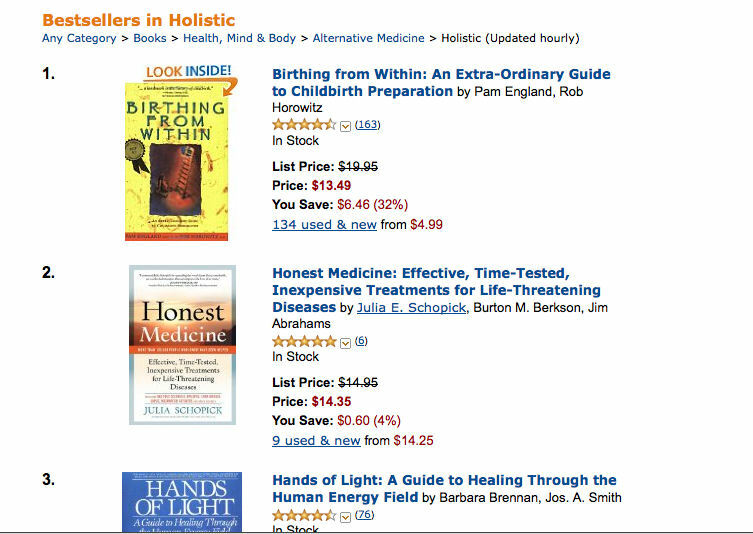 My book, HONEST MEDICINE, was listed as "temporarily out of stock" on Amazon.com for several weeks. Although this is no longer the case, I want people to know that it has always been readily AVAILABLE on BarnesAndNoble.com. I am therefore encouraging people to buy it from BarnesAndNoble.com. To do this, please please click here to order. Thanks so much! I appreciate your support of my book. NEW SPECIAL: I will be happy to make HONEST MEDICINE available in BULK at a reduced rate for anyone who wants to give it as a PRESENT or GIVEAWAYfor their group of organization. Just write to me at Julia@HonestMedicine.com. In the subject line, type: "HONEST MEDICINE FOR GIVEAWAY." Again, thanks!